For the Hermes that such an important brand in fashion area, almost all materials can be used as the design covers by brand. 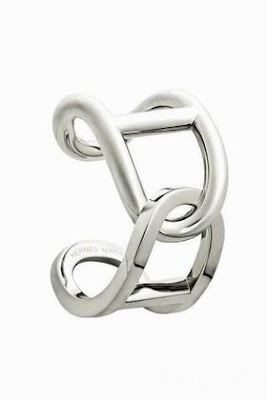 As a brand that always been excellence, whether it is silk, fur, leather, or precious metals, precious stones, Hermes are produce the elegant single product by cautious attitude and same exquisite craftsmanship. Although Hermes is not a brand that based on silver production, but the silver jewelry is still uphold this noble tradition of leather goods. The figure in 2010 spring and summer series Athéna silver bracelet, thanks to spectacular design for the spiral curve of the "Fil Carré" specifically development of new technologies. Highly sophisticated links, so that pattern repeated in the infinite symmetric harmony. This ongoing state of the silver spiral pattern, its perfect counterweight maintained by invisible ouch. 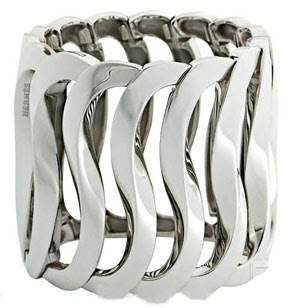 The other section Clic silver bracelets, the name comes from the clarity sound sent by tightly connected ouch. 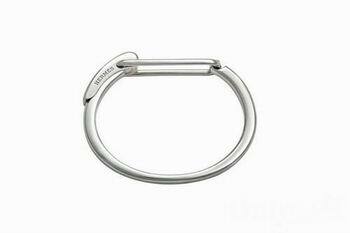 Buckle could be upward or downward for wearing flip, fascinating. In the silver jewelry series, we still find that Hermes classic chain, horse nails, badges such emergence of elements. It is different from the Hermes precious leather or beautiful jewelry and wrist watches, the neat silver lines reflect the more simple and handsome of Hermes, and in the simplicity it is still revealing the the same charm of the brand's elegance. 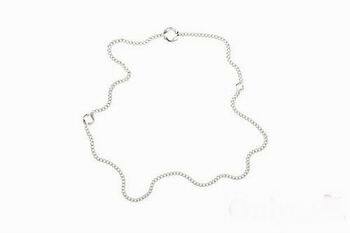 Two large-scale chain ouch spliced into this soft tone bracelet, It is the overlapping of "fil rond" and "fil carré" . The CYTHèRE's name is derived from the Greek island that Aegean Sea meets with the kirke Ladi sea.